"MOWGLI: Legend of the Jungle." 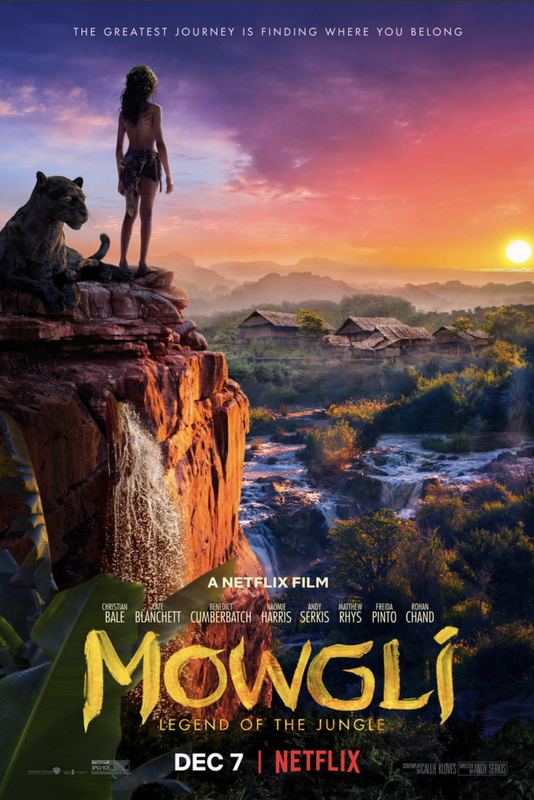 Watch how Serkis and the cast, including Rohan Chand, Christian Bale and Benedict Cumberbatch, used performance capture combined with top-notch animation and visual effects to create the the visually stunning world of MOWGLI. Mowgli (Rohan Chand) has never truly belonged in either the wilds of the jungle or the civilized world of man. Now he must navigate the inherent dangers of each on a journey to discover where he truly belongs. Christian Bale, Cate Blanchett, Benedict Cumberbatch, Andy Serkis, Freida Pinto, Rohan Chand, Matthew Rhys and Naomie Harris lead an all-star cast in this visually spectacular and emotionally moving adventure.